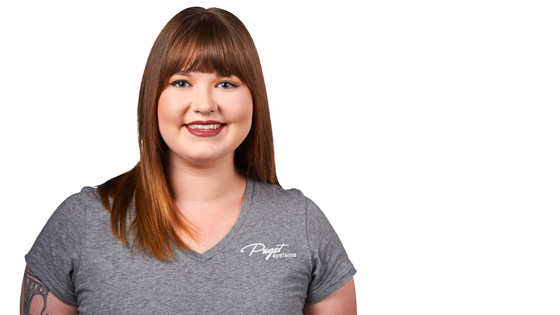 Kari joined the team at Puget Systems in 2017. She’s the final step in the production line. She is responsible for system photography, BIOS screenshots and packaging. Kari worked for five years in shipping and internet fulfillment prior to starting at Puget Systems. Kari strives to make your unboxing experience a memorable one. She says she feels lucky to have found Puget Systems and feels the company shows her value.